Inspired by the glamorous décor of the art deco period, the Dante Console Table will make an elegant addition to a hallway or dining room. Exuding class and sophistication, the considered design features long tapered legs and a solid walnut structure in a dark veneer. Two drawers include soft metallic runners with soft fabric lining, burnished brass handles and a brushed gloss finish. Hand-sculpted by expert craftsmen, each piece of furniture is made to the most exacting standards. 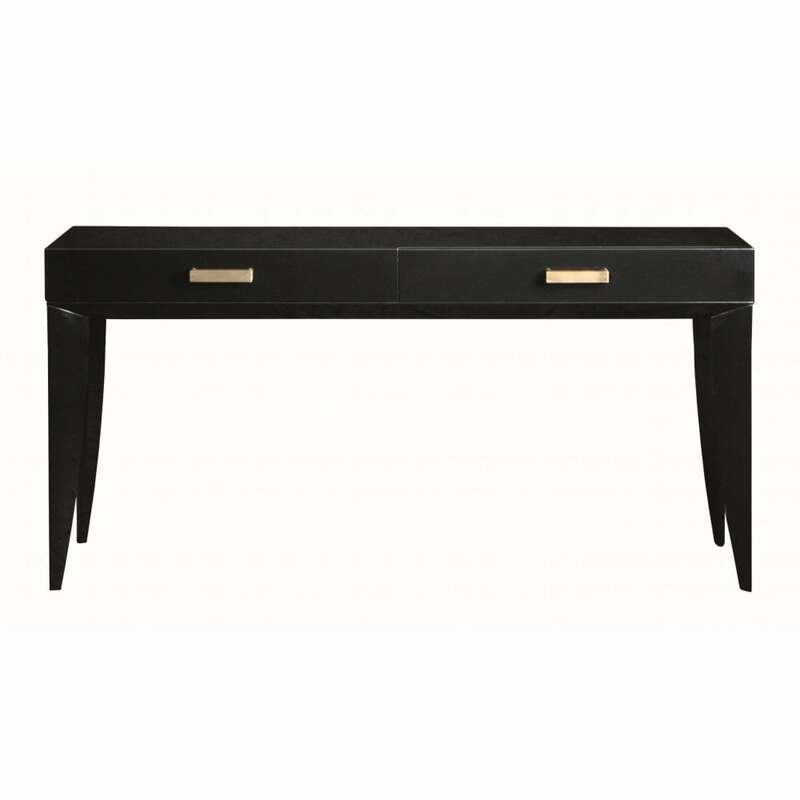 Style the Dante console table with gold or brass accessories to create a statement. Pair with the Rindo Table Lamp for a cohesive scheme. Make an enquiry for more information.